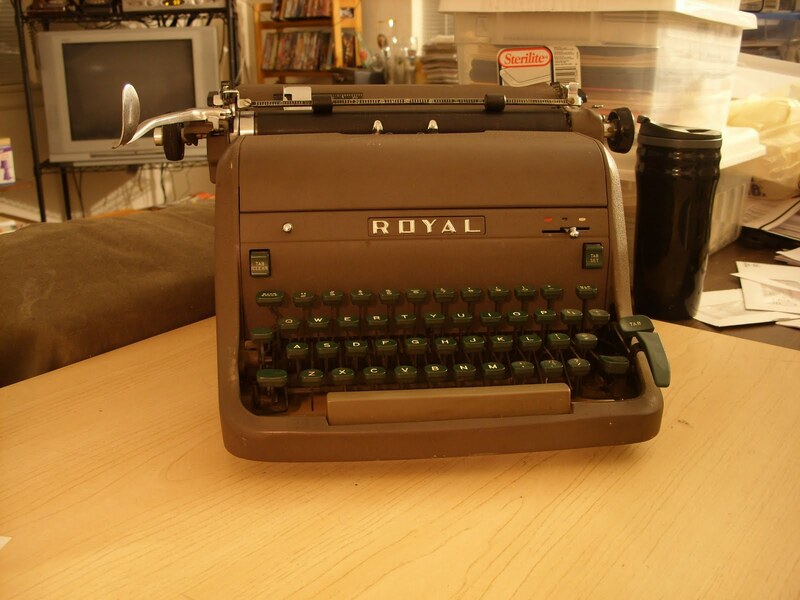 Darren Embry’s Blog: A tip on cleaning really gunky typebars on an old typewriter. I’m Darren Embry. This is my new blog. I post about semi-random things. Typewriters; maps of Louisville; and then some. My old blog’s at http://dse.livejournal.com/. I might figure out how to move those posts to this one someday. A tip on cleaning really gunky typebars on an old typewriter. So yeah, I purchased a typewriter from a gentleman on Craigslist a few nights ago. 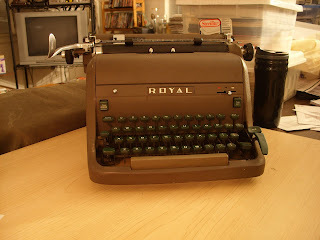 It’s a Royal HHE, c. 1956, and it works quite well. Even cleaning even with the firmest bristle toothbrush you can buy at Walgreens doesn't help. One trick that has worked out quite well for me thus far is to clip the bristles on a toothbrush so that they're about 2–3 mm long. If you have an old cheapo electric toothbrush lying around (like a Crest SpinBrush), even better. There is still a little work to be done, particularly on the uppercase M and V. But what a difference a toothbrush can make! Use a moist cleaning cloth to clean the surface of those ink keys. You can also use a wet brush to scrape them off. Hi - did you use any kind of a soap or detergent or whatever on the toothbrush? I have heard quite a few examples of how this can be done, but everyone seems to have a different way of cleaning them lol. Kristi, I used WD-40, nothing special really. Just spray some on the typebars, maybe let it sit for a few minutes to work its way in, then use the toothbrush. What if the typewriter is too old? Like those items being restored at the TV show "Kings of Restoration"? OXYPRO Cleaning System is one of the leading brands providing quality, and environmental-friendly Specialty cleaning solutions for laundry, kitchen, housekeeping, food manufacturing, and industrial industries. Hi did you use any kind of a soap or detergent or whatever on the toothbrush? Copyright 2011 Darren Embry. Watermark theme. Powered by Blogger.